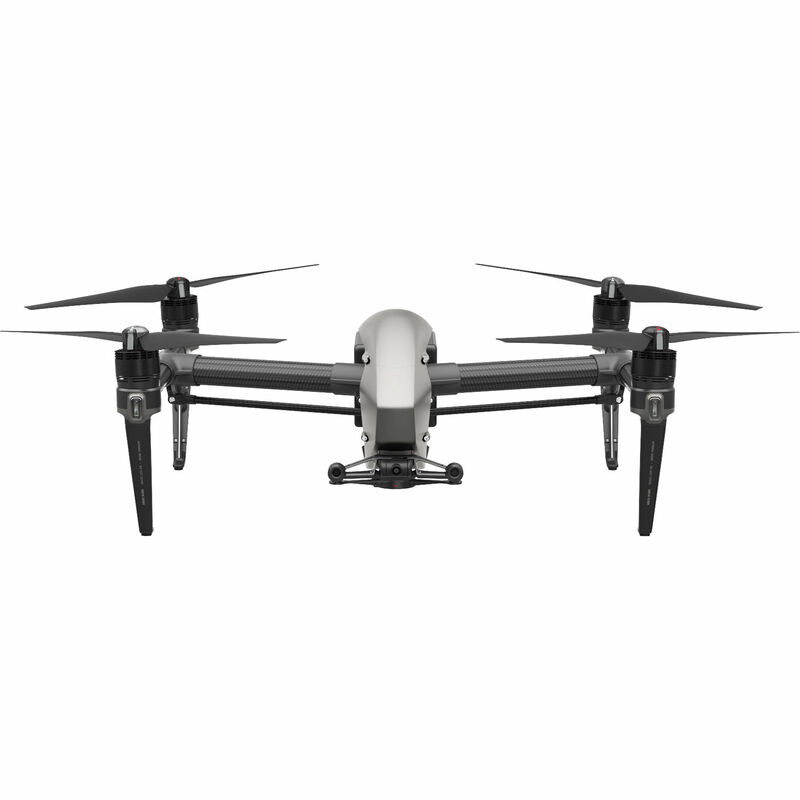 DJI's magnesium-aluminum-clad Inspire 2 Quadcopter is a powerful cinematic and photographic tool. Combining the Inspire 2 with the separately available X4S and X5S gimbal cameras yields cinema-grade images, which can be recorded in high bit rates using H.264 and H.265 formats, or, in the case of the X5R, various flavors of Apple ProRes and CinemaDNG raw using the required licenses available from DJI. All the recording functionality is processed by the Inspire 2's CineCore 2.0 image processing engine. Not all the power to be found in the Inspire 2 is in the recording functionality. DJI beefed up the flight capabilities of the Inspire 2. Able to accelerate to 50 mph in 4 seconds and reach a top speed of 67 mph, the Inspire 2 can follow fast-moving subjects for dramatic sports and action footage. The flight prowess of the Inspire 2 doesn't come at the expense of battery life. With the two included LiPo batteries onboard, up to 27 minutes of flight time can be had on a full charge.